Locals remember the beauty and history of the cathedral in Paris and hope it can be rebuilt. Gresham-area residents were saddened by the news that Notre Dame Cathedral, the historic icon of Paris, was consumed by flames Monday. "It's just a horrible loss of history," said Troutdale resident Michele Simon. "It was a beautiful building. It was an amazing privilege to see it." 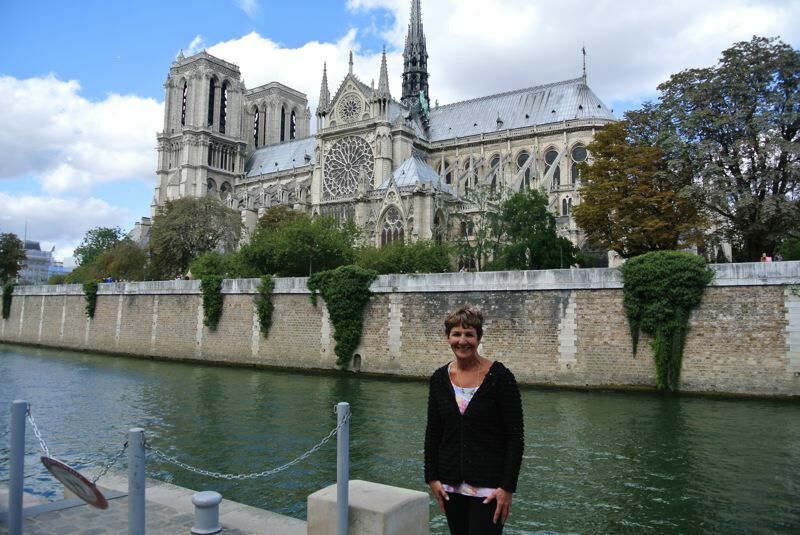 Simon visited the cathedral with her child's eighth-grade class from Walt Morey Middle School during a nine-day European tour about three years ago. The devastating fire struck the Catholic cathedral during the holiest week in Christianity, with Easter coming on Sunday. The flames broke out in the early evening Monday, April 15. The beloved cathedral sits majestically on the Ile de la Cite — one of two remaining natural islands in the Seine — in the fourth arrondissement of Paris. Notre Dame Cathedral, an iconic symbol of Paris, is probably the most famous example of French Gothic architecture in the world. Built in the 12th and 13th centuries, it is known for its flying buttresses and striking rose windows. The cherished building caught fire during a major renovation, though the exact cause of the fire will be determined by an investigation. The magnificent spire fell and the roof collapsed, according to international press reports Monday. The extent of the damage is still being assessed. "It is one of the high points of visiting Paris," Cindy Passannante, president of C.P. Trips, Gresham, said of Notre Dame. "We've been there many, many times. It's just a beautiful, beautiful building. It was a blessing to have seen it." Although the fire is catastrophic, it is not the first time the treasured structure has been damaged. Notre Dame suffered some harm during the French Revolution in the 1790s and it has had several restorations over the centuries. "This is devastating first to the parishioners that pray and worship in that church on a daily basis who will not be able to... it is sobering, not to mention the ancient artwork, the bells that rang for significant events and the sheer numbers of people that visit each year to experience the beauty and workmanship that was created hundreds of years ago," said Gresham resident and travel agent Sue Piazza. She visited the Notre Dame Cathedral most recently in 2013. Gresham resident Shar Giard, a real estate agent with Re/Max, said "I feel so devastated. It is one of the most beautiful buildings in the world. It is so sad, so sad." Giard said "I feel honored I got to visit." Gresham City Counselor David Widmark visited the cathedral less than a year ago. "I was there last June and climbed the tower. I walked the perimeter of Notre Dame bell tower as well. I am still in disbelief that it is gone," Widmark said. Passanante said "the feeling you get being in there is indescribable" adding that she has "great faith that they will be rebuilding and put it back." The cathedral is said to be home to several relics purportedly connected to Jesus Christ's crucifixion.